The implication here of course is that had these attacks been inspired by Islam, Muslims would not have targeted other Muslims. 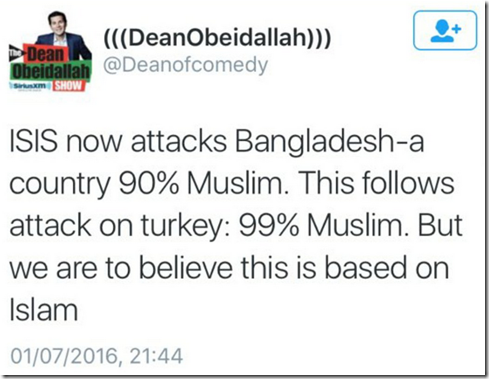 It’s amusing that Dean implies it would have been ‘based on Islam’ had only the targets been a bunch of kaffir. Forgetting for just one moment that those deemed the ‘wrong type’ of Muslim or simply not ‘Muslim enough’ suffer at the hands of their fellow Muslims more than anyone. And, let’s also put aside the bloody warfare that has engulfed different Islamic sects for quite some time too. I find it hard to believe that Dean is this unintelligent. 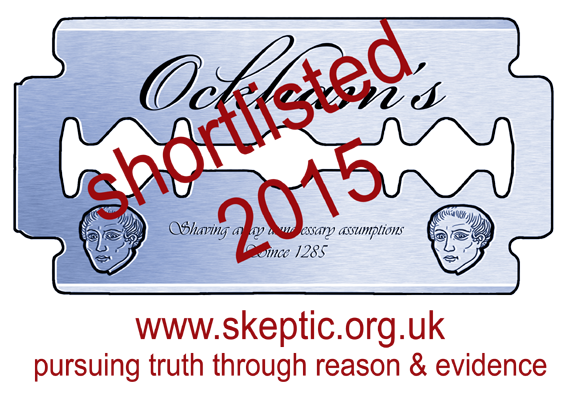 It can only be wilful dishonesty at this point. I really don’t think I have to spend any time detailing the obvious reasons why Islamic terrorists would target a busy international airport. Rezaul Karim told Bangladesh’s Daily Star newspaper: “The gunmen were doing a background check on religion by asking everyone to recite from the Quran. Mr Karim said that Bangladeshi nationals who were able to say selected passages of the Muslim holy book were treated well and given food. The difference between life and death here was literally Islam. Perhaps Dean could let us know if this qualifies as ‘based on Islam’? This is a man who is wheeled out across American news networks to represent the Muslim voice, yet does not possess the moral courage to admit Islamic ideology is at least somewhat responsible for Islamic terror. Until this truth is acknowledged by sensible Muslims everywhere, we cannot even begin to tackle the problem. 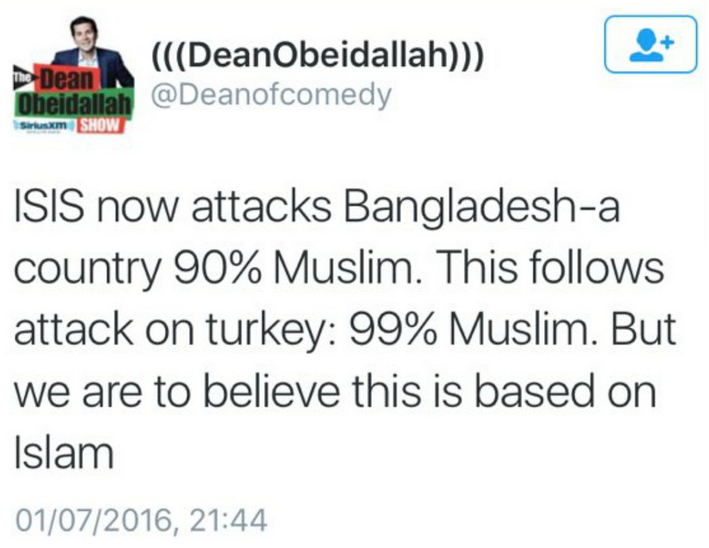 The number of oppressed Muslims that have benefitted from Dean’s continued obfuscation on all things Islam is precisely zero. Dean is committed to protecting Islam at all costs. It’s because of this that he continues to fail the ceaseless number of Muslim victims left in its wake. As for this being wilful dishonesty: I think that’s exactly right. This is not the first time I get the distinct impression that he says such shockingly stupid things just to get an increase in mentions and an inflated timeline. He’ll start a vile exchange like this that attracts a lot of people simply by virtue of its outrageousness, and then he’ll suddenly be retweeting days-old articles on Trump or the timing of his radio show. To be fair, I don’t think he’s particularly bright, either, but surely some of it is an act. Which only makes it all the more despicable, actually. The attack in Istanbul was at the Ataturk Airport. Ataturk was the revolutionary Turkish leader who abolished the Ottoman Caliphate in 1924. I wonder if that had any significance apart from the fact that it would obviously target international passengers?